Portsmouth hosts the Military and Air force Rally yearly. It consists of various military vehicles covering the common and an air display by various air craft. To go to see the vehicles there is a charge to get in but to watch the aircraft is free. 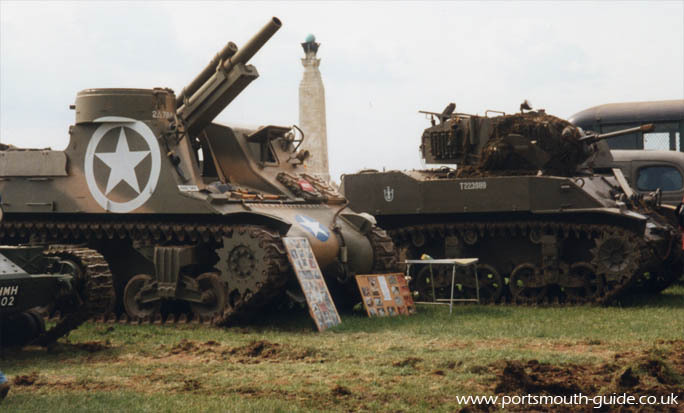 The above photo shows some of the tanks that can be found on the common during the rally. Details of dates for this can be found in the local paper whose site can be found at www.thenews.co.uk. If you have looked at all the other events held on or near the common so far you can see there is something held for everyone.